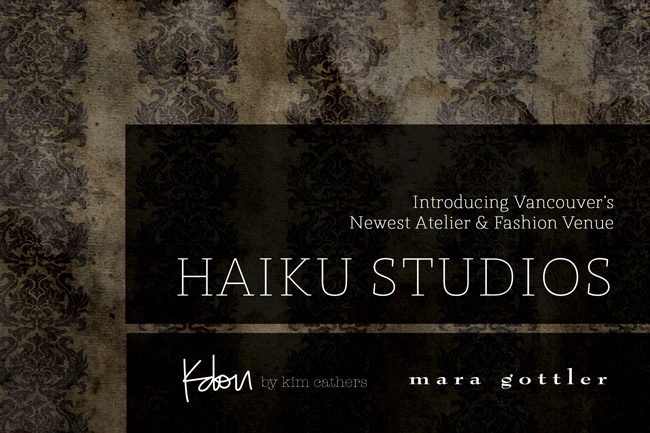 Haiku Studios is Vancouver’s newest atelier and fashion venue owned by myself and shared with Mara Gottler. 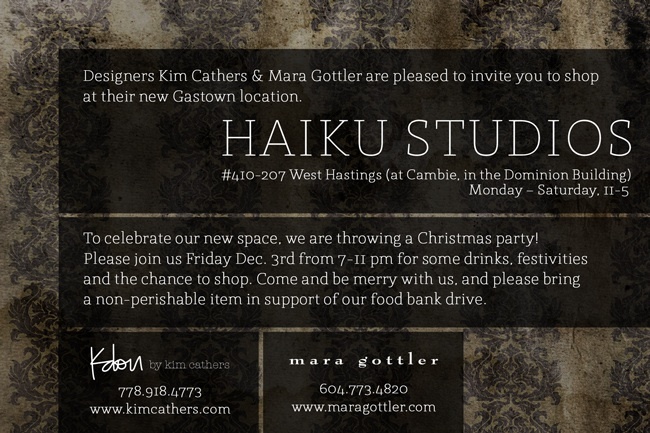 Haiku Studios is open to the public daily from 11-5 for retail shopping. (closed sundays). To celebrate the opening of this new beautiful space, we are throwing a Christmas party! Please join us Friday Dec. 3rd from 7-11 pm for some drinks, festivities and the chance to shop. Come and be merry with us, and please bring a non-perishable item in support of our food bank drive.